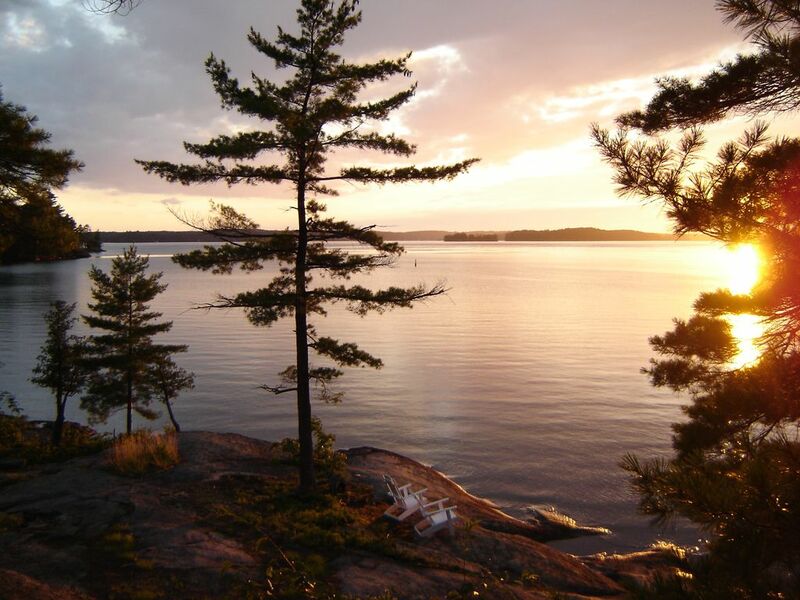 This delightful cottage is perched on Huckleberry Point on historic Chief's Island in Lake Joseph, old Muskoka. Guests can enjoy the panoramic, breath-taking views, sunsets, pine trees, rocky shores, and crystal waters. This west-facing cottage is extraordinary because of the privacy it offers, a huge expanse of undisturbed land & shoreline rarely seen anywhere in Muskoka, with a sheltered private south bay & dock,and a secluded, sandy beach. Great for boating, hiking, relaxing with family and getting away from it all. The cottage is clean, tidy, uncluttered and organized, with a renovated kitchen and bathroom that includes all the mod cons : DW, W/D, MW, Jacuzzi bath. The cottage has character: it is decorated with unique artwork, antiques, objets, and memorabilia. Here, guests will get a sense of the real Muskoka. They will be able to explore the surrounding land that is untouched, on moss-lined, original deer-path trails that follow the shoreline. There are numerous great swimming spots that suit a wide age group: the front rock shore and the sandy beach are ideal for young children because the water is shallow and parent visibility is good. There is also a 3-tiered set of diving rocks and adjacent point for older kids wanting to play around or do a swim workout to the point and back, and there is the back dock which is always warm and calm because the bay is sheltered from the wind by Little Chief's Island, great for a gentle swim, sunning, and relaxing in complete privacy. Guests will be provided with a cedar strip canoe for taking paddles around the islands or just around the bay. Lovingly cared for true muskoka style cottage. We can't wait to come back!